There’s a resurgence of Indigenous storytelling happening across Turtle Island. Through a variety of media, voices are getting stronger and stories are reaching farther. More Indigenous people are bolstering culture through stories and connecting with their roots, and more non-Indigenous people are learning about those crucial experiences. Literature has been an important way to document those stories and teach others about Indigenous life. Many prominent and emerging authors are producing stellar work year after year. Books have been a substantially viable medium in accomplishing that. But in the world of Indigenous fiction, there’s been a largely untapped resource: the audiobook. My good friend Rick Harp pointed this out to me earlier this year. While a handful of prolific authors has successfully adapted their books into audio, most stories remain in physical print. So he wants to start a new trend in Indigenous storytelling to change that. Rick has chosen my first book, Midnight Sweatlodge, as his first project in this movement. He’s started a Kickstarter campaign to raise needed the money to turn it into an audiobook. It’s an ambitious, enterprising proposal, and I’m honoured and humbled he wants to use my fiction as his initial source material. For those of you unfamiliar with the original book, Midnight Sweatlodge is a collection of short stories that was published by Theytus Books in 2011. You can read more about it here. Rick is a veteran journalist and a media visionary. With a wealth of experience at APTN, CBC, and other media outlets, he knows the importance of stories in keeping Indigenous culture at the forefront of our collective psyche. 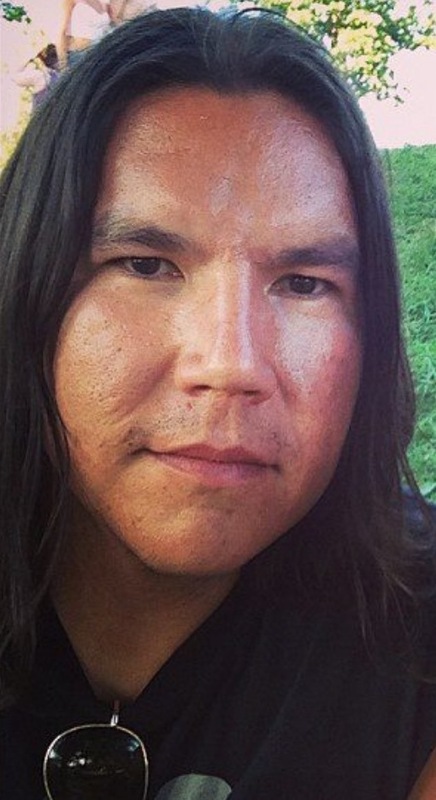 He’s the founder of mediaINDIGENA, and with all his experience and expertise, I’m confident he will do the stories I’ve written justice with his own voice. So please check out the video he produced below, and visit the Kickstarter link. I hope you’ll consider supporting this exciting project! « Will Canada Reads break its own barrier and finally recognize native women’s writings?